Flying clubs are an organisation of budget conscious people who are passionate about flying. These clubs are formed because people don’t have money to buy their own planes or rent. Many individuals may not have enough resources to own an aircraft. Forming a flying club could be a means for a pilot to share in the ownership of a plane with more people. There are a number of choices concerning how to organise and structure a flying club. A flying club may start up with just about any kind of airplane. 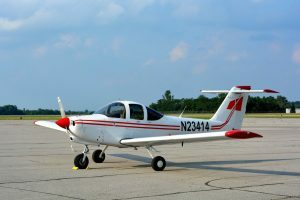 The Pietenpols, a four-seat Cessna 172s, Cessna 182s, and Piper PA-28s are the recommended ones because their operating expenses are low. Some flying clubs started out by building or restoring old airplanes for this purpose. A group of six people can begin a club. For many flying clubs, the ratio of people to the available number of aircrafts is 15:1. Some have too few aircrafts to go round, so if you are able to make it less than 10 pilots per aircraft, it will work even better. This will grant ample flying time to each pilot. It is a good idea to first consult the airport authority, if you intend to start a flying club at a federal airport. Also seek guidance and advice from an experienced attorney on issues relating to insurance, as your decision to start a club is greatly dependent on insurance. Older pilots and younger pilots should be in the group. For many flying clubs, a mixture of students and veterans pilots have helped to increase their success a great deal. Your flying club should be registered with the AOPA network. If a flying club is created as a nonprofit and independent body, they tend to be of a more cost effective standard. A pilot’s experience with a club is dependent on this factor.